Country music singer-songwriter Thomas Rhett is actively working on his fourth album. More on the star's latest plans here! 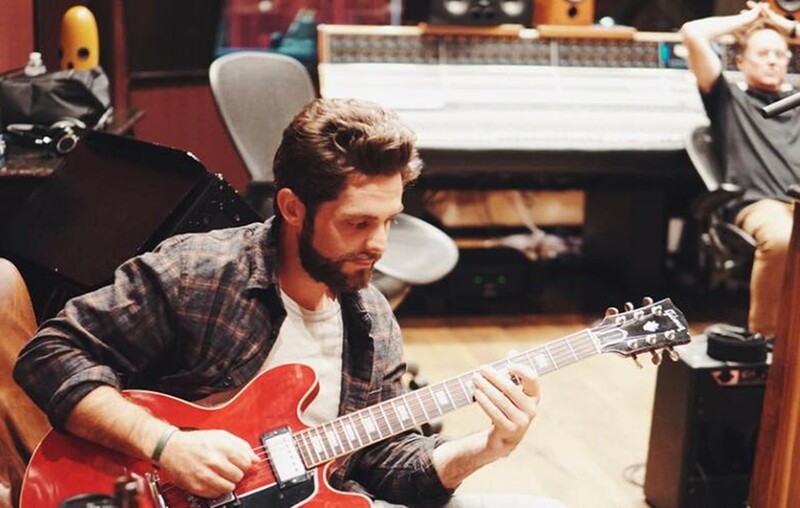 Country music phenomenon, Thomas Rhett is ready to jump back into the recording studio and start writing tunes for his next album. “It’s been interesting being back in the studio because I feel like every time I finish a record, in my brain I go, ‘I have nothing else to say. How in the world are we gonna write for another record?’,” Rhett admitted to Sounds Like Nashville. Fans don’t need to worry about the Georgia native running the risk of being low on songwriting material— his life with wife Lauren Akins and two daughters, Willa Gray and Ada James, reminds him that he has a lot of new experiences to look forward to in the future. The young father of two is ready to pull inspiration from what he’s learned over the course of the last couple of years. Check out this adorable video Thomas posted via Instagram that showcases his family out on the Life Changes Tour together! “I’ve said things in the past about collaborations that didn’t pan out and I got roasted on Instagram, like ‘Where was that collab?’ Well, it’s sitting on a shelf somewhere. But yeah, we do have a few really cool collabs and we’ll probably have a few more on this record, for sure,” the star confessed to the outlet without sharing details on the other artists involved. Share this update with other Thomas Rhett fans!